Mohit is a Manager with MSC's Digital Financial Services (DFS) Domain. 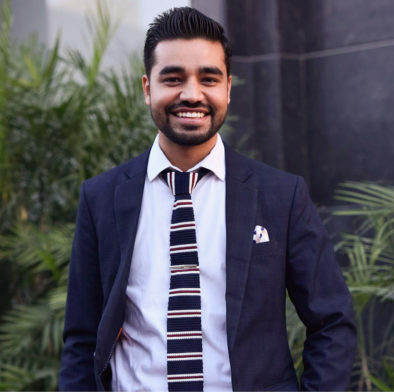 Mohit is a DFS consultant with substantial experience of working in countries like Bangladesh, India, Malawi and Uganda with the regulators, policymakers, start-ups, DFS providers, and other ecosystem players. He has worked on projects commissioned by BMGF, JPMorgan Chase (JPMC), the World Bank Group (IFC), UNCDF, UKaid and others. Within MSC, he has managed projects focusing on accelerating the uptake of DFS among the last mile through bottom-up, client-centric approach. Presently, his work focuses on designing a differentiated incubator lab for fintech start-ups to cater to the Low-and Middle-Income (LMI) segments in India. In addition, his work involves offering technical advisory to DFS providers, developing their go-to-market strategies, and undertaking client-centric market researches focused on gender and behavioural aspects. Formerly, Mohit has worked as an Operations Manager with Atyati Technologies Pvt. Ltd- a Bengaluru-based fintech start-up. He holds a Post Graduate Diploma in Rural Management, with specialisation in rural finance from one of India's most prestigious institutions, Institute of Rural Management, Anand (IRMA). He is fluent in English and Hindi. The current landscape suggests a growing influence of fintechs in India. However, growth and investments have primarily confined in the payments and credit domains, and in a few metro cities. Given the government’s push towards a cashless economy by 2020, we may expect technology-driven and innovative solutions to emerge in Vietnam through active collaborations between fintechs and incumbent financial service providers. Fintech players in Bangladesh, primarily led by the MFS players, have a huge potential to address the key constraints that hold back financial inclusion and to facilitate the integration of underserved segments into the formal financial services sector. MicroSave has been working with NPCI and leading public sector banks to create a less-cash ecosystem in select villages across the country. This note captures the concluding part of the journey.